President Trump is angering US citrus farmers. He's decided to allow lemons to be imported from Argentina -- one of the biggest lemon producers in the world -- for the first time in 16 years. The ban on Argentinian lemons lifts on Friday. It was put in place after US lemon growers and scientists pointed out that Argentine lemons carried diseases which pose a risk to US crops. But the US Department of Agriculture concluded in December that Argentine farmers had addressed the problems and their lemons were safe to import. The story originally began as one of Trump's first protectionist action as president. Soon after taking office, the Trump administration on January 23 imposed a 60-day stay on a decision to lift the ban on Argentine lemons. It was the same day that the multi-year ban was slated to be lifted. President Obama wanted to remove it after meeting with President Mauricio Macri last year. The two countries reestablished political ties after a 12-year populist regime distanced itself from the US. Some saw Trump's stay on the ban as an example of him getting tough on trade, fulfilling a campaign promise. Then President Macri visited the US in late April, and Trump had a change of mind. 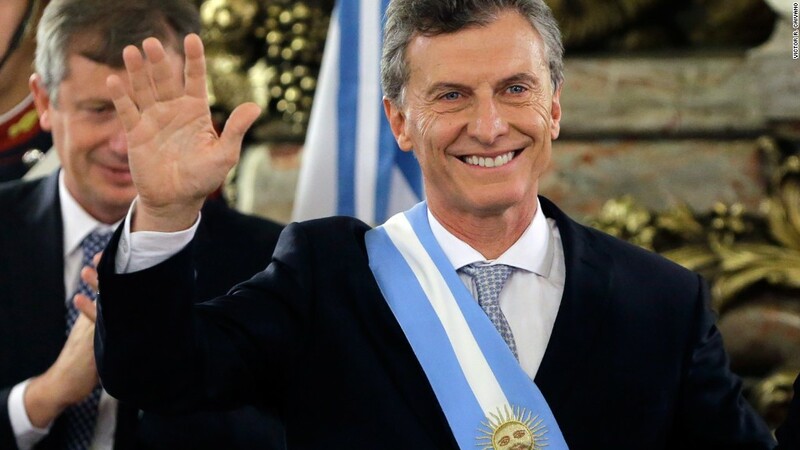 "We're going to be very favorably disposed," to Argentine lemons, Trump said on April 27 when Macri visited the White House. Shortly after that visit, the US Agriculture Department announced the lemon ban would be lifted on May 26. Now US citrus farmers are crying foul. They say jobs and farmland are at risk. They thought Trump was on their side. "Something we thought was laid to rest was brought to life again," says Curt Holmes, chair of the California Citrus Mutual, an advocacy group. Holmes argues politics overruled legitimate science, and that lifting the ban puts US jobs at risk given Argentina is one of the world's top lemon producers. "They dwarf us," says Holmes. "There is economic concern...To allow political decisions, whatever the reason is, to trump good science is very very dangerous." Holmes is one of the plaintiffs that is suing the USDA over its ruling on Argentine lemons. The lawsuit was filed this week. California is far and away the top US lemon producer. Its citrus industry is worth $3.3 billion and employs about 22,000 workers, according to Holmes, who cited a study by the University of Arizona. Holmes did not quantify how many US jobs might be at risk from Argentina's lemon imports. The US mostly imports lemons from Mexico and Chile now, but Holmes says Argentina could soon become the top importer to the US. Argentina's Citrus Federation did not respond to a request for comment, though it touted the USDA decision on its website.